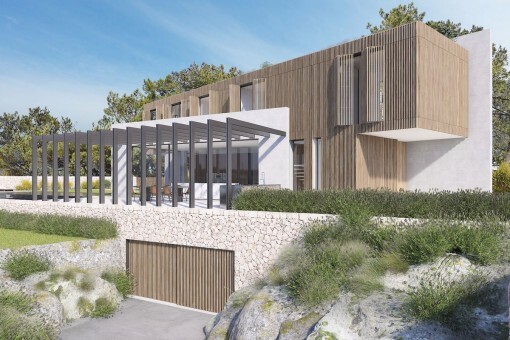 This modern, newly-built, first-occupation villa is situated in Genova, one of the most desirable areas in Mallorca due to its wonderful surrounding countryside, the peace and quiet, and its proximity to Palma. 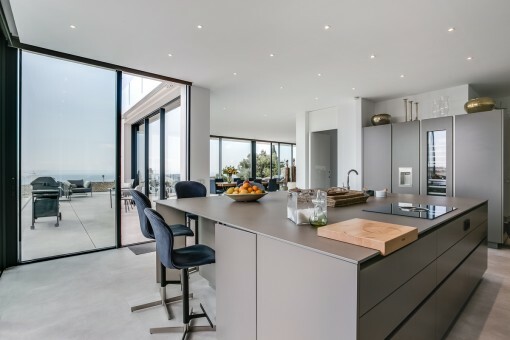 The exclusive villa is characterized by breathtaking views from every level and its modern, minimalist, contemporary architecture. 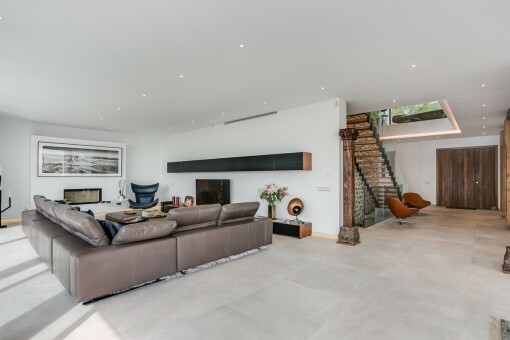 On the ground floor is a fantastic living room with fireplace, a dining area and an open kitchen. 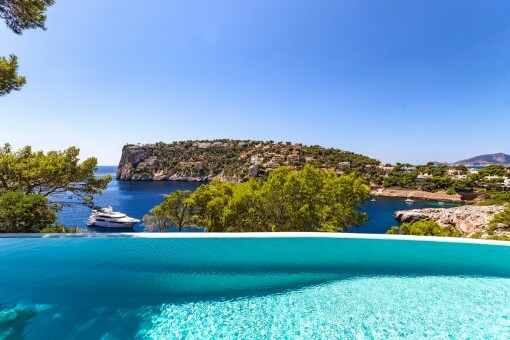 All rooms have direct access to the terrace, the lovely garden and the pool from where spectacular views of the sea and the pine forests on the mountain slopes of the Tramuntana can be enjoyed. Also on this level are 2 of the total of 5 bedrooms, all with bathrooms en suite. 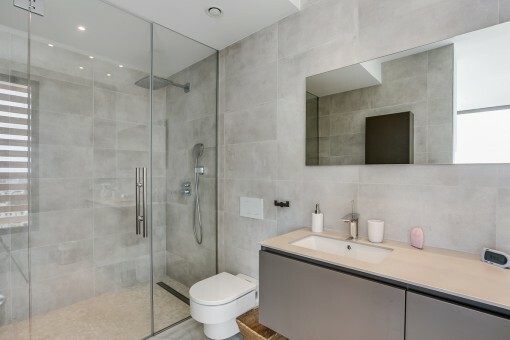 Located on the upper floor are the other 3 bedrooms with private bathrooms. 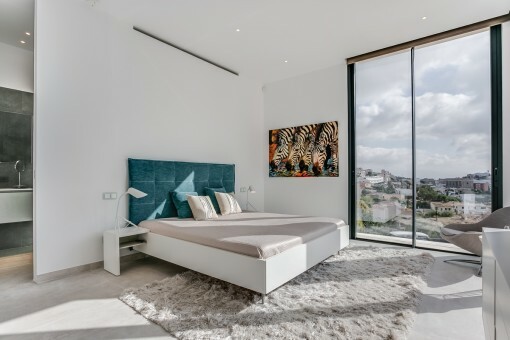 The main bedroom also has a small dressing room and direct access to a terrace and its impressive window frontage provides both ample natural light and incomparable sea views. 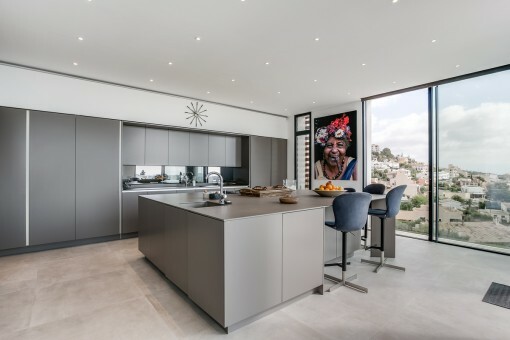 Further high-quality features include underfloor heating, hot/cold air conditioning, double glazing, LED lighting, sound-system, high quality electric appliances, sanitary equipment from leading manufacturers, and a lift connecting the garage with the other 2 levels. 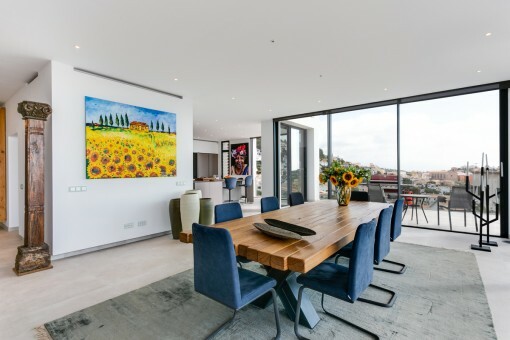 The cellar level houses a 2-car garage, a large room which could be used as a fitness studio, a TV room or an office, and a sauna and bathroom. 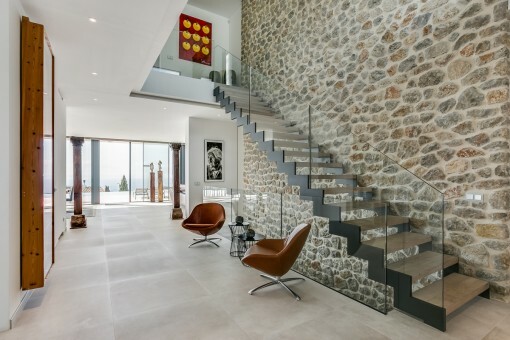 It is possible to buy the villa with furniture for € 6,200,000. Genova is an original Majorcan village, which is connecting directly to the north of Palma. 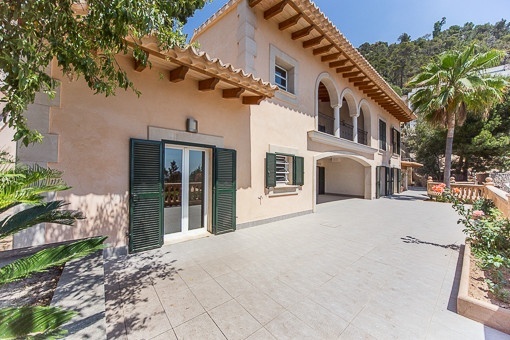 It offers the advantage of a quiet and contemplative village life with direct access to the capital. Also several beaches are within short distance. The place is mainly famous for its flowstone caves as well as for its several restaurants with Majorcan food and meat specialties, which are visited especially by natives. 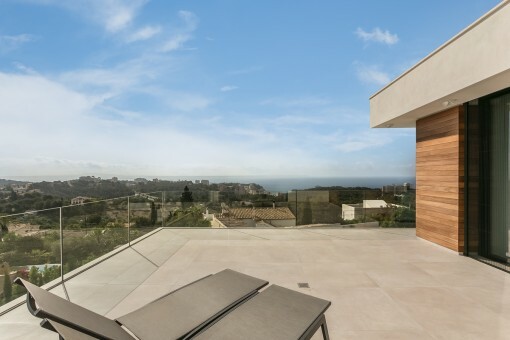 Through its elevated position most of the real estates there have fantastic views over Palma, the sea and the mountain Sierra de Na Burguesa. This map shows the situation of the Genova in Mallorca. We have compiled a selection of the most beautiful beaches, golf courses, marinas and hotels and restaurants for you. 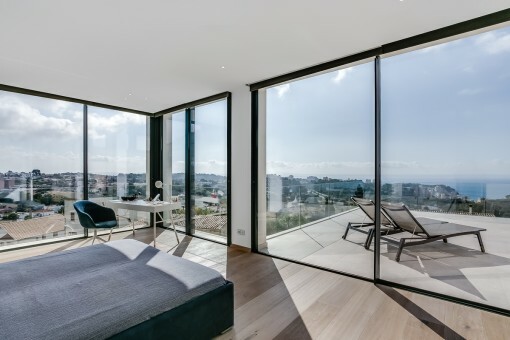 I'm interested in: Wonderful minimalist project with views and pool in Genova (Objekt-Nr.111482). 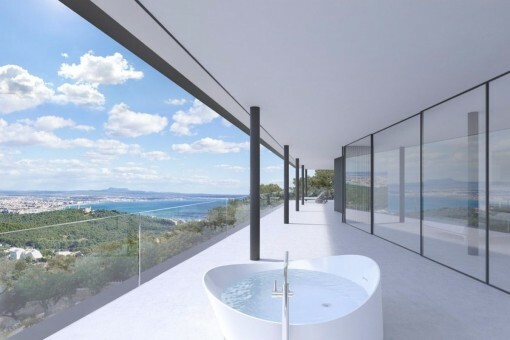 you are reading: Wonderful minimalist project with views and pool in Genova - purchase · Porta Mallorquina Real Estate Rating 4,8/5 by 200 testimonials.